When moving to Japan as a family, or starting a family in Japan, one of your biggest concerns will be your child’s education. We gathered responses from 50 expat families and compiled this list of the most highly recommended international schools for children living in Tokyo. Deciding on a suitable school for your child is difficult in any environment, but it becomes doubly so when living in a foreign country. 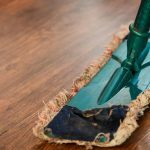 We hope the following information will make it a little bit easier to narrow down the most suitable schools for your child, as well as the best areas in which to live. If you would like further assistance in choosing an area or finding a suitable apartment, please don’t hesitate to contact our residential assistants. 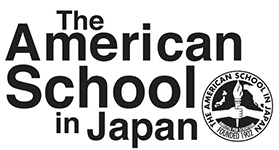 Originally founded in 1902, The American School in Japan consists of 2 campuses, one in Chofu with facilities providing for up to 1650 students from over 47 countries, and an Early Learning Center in Tokyo’s Roppongi district for children aged between 3 and 5 years. The Chofu campus boasts state-of-the-art facilities including a 570-seat theater, 25m indoor pool, and Creative Arts Design Center equipped with fabrication labs and a robotics lab. Although located a fair distance from central Tokyo, students are able to get to school with ease via the school’s private buses. Consisting of a fleet of 27 buses stopping at over 200 stops across central Tokyo, over 80% of the school’s students utilize the service. The majority of bus stops are located in the neighborhoods of Minato-ku, Shibuya-ku, Setagaya-ku and Meguro-ku. We recommend living in areas serviced by the ASIJ private bus fleet. Minato-ku offers the most bus stops, however, the shortest routes are from neighborhoods in western Shibuya-ku. Founded in 1989 as an alternative to the non-British style curriculums in Japan, the school has a strong backbone of traditional British education. Home to more than 1000 students aged 3-18, of over 60 different nationalities, The British School in Tokyo has developed a strong reputation for its high-quality education. Those of you who are familiar with the British education system will be pleased to hear that the English National Curriculum provides the basis for the school’s education program. Students are able to progress through Primary School, Secondary School and Sixth Form just as they would in the UK, complete with the highly regarded A Level examinations. Setagaya-ku and Shibuya-ku are the most convenient locations for students commuting to the British School in Tokyo. Setagaya-ku offers some of the best value family-sized apartments in Tokyo. One of the more recently founded international schools on this list, Tokyo International School in Minato-ku prides itself on its digital learning philosophy, with every student and staff member having either an iPad or MacBook to complement their learning process. Students are guided through the International Baccalaureate “Primary Years” and “Middle Years” program, an internationally esteemed curriculum recognized across the globe. The school provides a strong focus on solving global challenges and understanding the processes of innovation and design in order to better prepare students for life outside of full-time education. With 10 school bus routes spread across central Tokyo, families with children attending Tokyo International School can choose to live in a number of areas. Nishimachi International School, located in Moto Azabu, is a school of considerable size with a 6-building campus and 3 roof-top play spaces for students. Complete with a private camp for overnight field trips in Gunma Prefecture, the school educates students in the more rural side of life by taking them to plant rice one year, and again a year later to harvest it. With class ski trips in the winter, Nishimachi International School is well suited to parents who want their children to have a varied education of both academic classes and outdoor excursions. 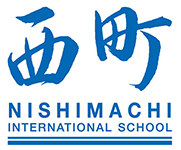 Founded in 1949 by a group of Tokyo mothers who wanted their children to experience a more rounded education with English learning at the forefront, Nishimachi International School has grown from its opening class of 4 students, to over 400 students from over 30 different countries. Following their middle school education at Nishimachi, the majority of students transfer to The American School in Japan or Yokohama International School for high school. Minami-Azabu and Moto-Azabu in Minato are popular residential areas surrounding the school. However, students living in Meguro, Shibuya, or Shinagawa can commute via public buses. Founded in 1908, this Catholic girl’s school is located in Shibuya and has over 500 students from 45 countries. 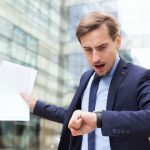 Class instruction is in English and Japanese classes of varying levels are available for native speakers, as well as those learning the language as a second language. Students wishing to attend college after graduation will benefit from the school’s Advanced Placement Program which is designed to prepare them for university. International School of the Sacred Heart is situated on a large campus surrounded by greenery and is fully-equipped with high-quality facilities including, but not limited to, three art studios, two libraries, science laboratories, a fitness gym, and a recording studio. 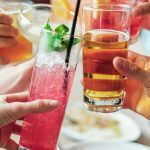 Students are able to participate in a number of fun and interesting clubs such as the Animal Rights Club, Manga Club, Medical Society, Instagram Club, and Nerd Club where they can feel free to express themselves and share their interests with friends. Located next to Hiroo train station, International School of the Sacred Heart is easily accessible from the areas of Shibuya and Minato. 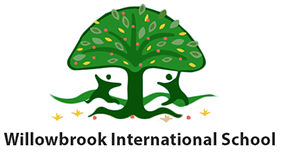 Willowbrook International School is an independent preschool located in Minato-ku. Founded in 1998, it has 140 students between 15 months to 5 years of age. The school offers an educational program delivered in English (with Japanese lessons) as well as a dual-lingual program taught in both English and Japanese that sees the students switching between the languages on different days of the week. Their comprehensive curriculum is divided into five areas, focussing on human values and skills, creativity and imagination, multicultural awareness, fundamental knowledge, and physical development. When they’re not having fun learning in the classrooms, library, art studio or gym room, the children enjoy regular visits to Arisugawa Park, just a short walk away. As Willowbrook International School is a preschool, most families live nearby in areas such as Hiroo or Azabu-Juban. 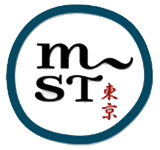 The Montessori School of Tokyo is currently the only school in Japan offering the Montessori educational program for children up to 15 years of age. Primary instruction is given in English, with the opportunity to learn Japanese provided (and encouraged) through both structured lessons and free-play. Children love the bright and spacious classrooms, and the dedicated art and music rooms allow them to develop their artistic and creative side. Those familiar with Montessori will know building a connection with the natural world is an integral part of the philosophy, and you will be pleased with the beautiful private outdoor playground and garden available to the students. Located in Minami-Azabu, families with children attending The Montessori School of Tokyo often live in the Minato area, or eastern Shibuya. 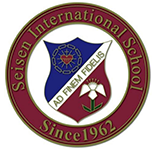 With its beginnings as a quaint Montessori kindergarten in 1962, the founding sisters probably never imagined Seisen International School growing into the over 650 student-strong Catholic girl’s school it is today. The school offers the International Baccalaureate Diploma Program for high school students as well as the IB Primary Years Program (PYP) for students in elementary school. As of 2016, the kindergarten program also became authorized to teach PYP and offers a unique blend of both Montessori and PYP elements. Classes are taught in English, however, students also receive education in Japanese language and culture, beginning from first grade. In regards to facilities, the school offers everything necessary for a growing mind including three science laboratories (for biology, chemistry, and physics classes), drama and music rooms, a pottery room, media center, information technology room, and much more. Seisen International School shares a fleet of buses with its sister school, St Mary’s, several of which collect students from central Tokyo (such as Minato). However, families looking for larger houses and yards may wish to live in Setagaya. Founded in 1940, Keimei Gakuen was the first school in Japan with an education program tailored to the needs of international students returning from overseas. The Christian-based school has approximately 648 students across their pre-school, elementary, middle, and high school courses, with 30% of students having been born in countries outside Japan. Keimei Gakuen is popular with foreign or cross-cultural parents wishing to nurture the bilingual abilities of their children, and parents of Japanese children who have spent an extended period of time living and studying overseas. Located on the outskirts of Tokyo, near Hachioji and the Tama river, it takes approximately 1 hour to commute to the school from Shinjuku station. Keimei Gakuen is located in greater Tokyo near the areas of Hachioji, Akishima, and Tachikawa. If you prefer to live in central Tokyo, Shinjuku offers the most direct commuting route. Founded in 1954, St. Mary’s International School is Tokyo’s most prestigious international school for boys, with a population of 900 students of over 50 nationalities. One of the largest international schools in Japan, St. Mary’s nine-acre campus offers world-class facilities. Having been rebuilt in 2010, the ecologically designed, solar-powered facility surpasses even Tokyo’s most stringent building standards. The school is especially popular for its athletics department which encourages physical fitness, discipline, and team-building through a variety of sports. St. Mary’s students rank at the top of both regional and Japan-wide swimming competitions, and large numbers of students go on to continue their athletic prowess after graduation, including a two-time Olympian swimmer! The wrestling team, known as the St. Mary’s Titans, are famed as the champions of the HS Kanto Plain League. Setagaya is a popular area for families with children attending St Mary’s. The school also has a fleet of buses servicing central Tokyo. Many students also utilize Tokyo’s safe and efficient trains to commute to the school. Although technically not located in Tokyo, Yokohama International school is one of the most highly recommended international schools in Japan — so we just had to add it to our list! Established in 1923, it is the second oldest international school in the world and is attended by 650 students representing over 45 different nationalities. The school follows the International Baccalaureate program curriculum (PYP, MYP, and DP) from preschool through to elementary, middle, and high school. Also offering Mother Tongue Programs in Chinese, Dutch, French, German, Spanish and Korean, you’ll be hard-pressed to find another school with such a strong sense of community that also supports students in keeping their sense of cultural identity. The Tokyu-Tokyo train line offers a direct route to Yokohama from Tokyo. Stations on this line such as Naka-Meguro, Gakugei-Daigaku, and Jiiyugaoka, make great neighborhoods for families. 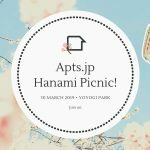 Several members of Apts.jp are alumni of international schools in Tokyo and have unique insight into the challenges faced by families as they move and adapt to life in Japan. If you are a parent in need of a consultation regarding renting or purchasing an apartment in Tokyo, please contact us with your requirements. 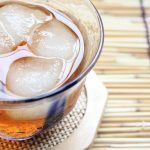 We specialize in finding apartments and neighborhoods to suit the tastes and lifestyles of foreign residents in Japan, and will gladly support you in your move. *No favoritism was involved in the compilation of this list.